With so many tubing products available in the industry today, how can you be sure you’ve got the best product available? 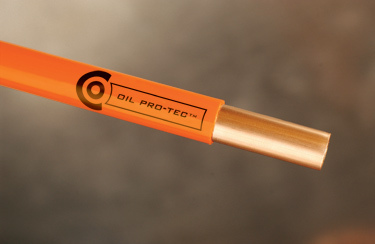 Now all you have to do is look for our unique line-marking, as seen in the photograph above on your next roll of coated copper tubing. It’s the sign of quality. It’s the sign of Kamco.